Our rear tine roto tiller is an ideal tool for turning over large areas, hard packed soil, and ripping through sod. It features a pivoting handlebar that allows you to till close to houses and fencelines, simple controls that are easy to learn and operate, and counter rotating tines that allow you to till a 16" swath down to 12" depth. The unit comes on its own trailer, which you need to have a 2" ball on the back of your vehicle to transport it home. We do offer local delivery, rates vary on distance. 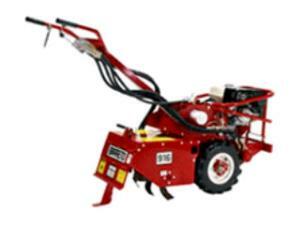 * Please call us for any questions on our roto tiller rear tine rentals in Hillsdale and Ridgewood NJ.